Concept TV to sell TV Advertising Space on BT Sport, following the appointment of Channel 4 as the Media Sales House. Concept TV is pleased to announce that it has begun selling TV Advertising space on BT Sport via it’s links with Channel 4. In a move which is considered to be contributory to the ongoing feud between BT and Sky, BT have chosen to award the sales of TV Advertising to experienced Media House Channel 4. The launch of the sports channels have been controversial – taking key football matches away from the Sky Sports range of channels. Furthermore, where Sky Sports are a ‘premium’ range of channels with a ‘premium fee’ to match, BT is giving away free access to the BT Sport channels to any BT Broadband subscriber. Further diversification for the Channel 4 sales team. In recent years, Channel 4 have moved from operating and selling its own digital channels to including a range of other non-core channels such as Dave, Gold and music channels. It appears keen to expand on its image as a Female bias ABC1 / Young Adults Broadcaster with a more varied range of audience demographics. As ever, Channel 4 is keen to push the boundaries and experiment with media sales strategies – attempting to sell more and find fits with advertisers that would otherwise be unavailable through the traditional ‘scatter buying’ approach. Channel 4 were reportedly trying to sell the spot advertising to the entire Barclays Premier League Season, but did end up selling spot media in a more traditional fashion. By ditching the inflexible ‘whole season’ strategy, Channel 4 makes BT Sport a far more viable proposition for advertisers – and one that means Concept TV can sell BT Sport in it’s general channel line-up. Want to advertise on BT Sport? At Concept TV, are working with some major advertisers as part of a plan to include BT Sport in their TV advertising schedule. You can find out who’s playing who and the current state of the League Tables at the Premier League website here. 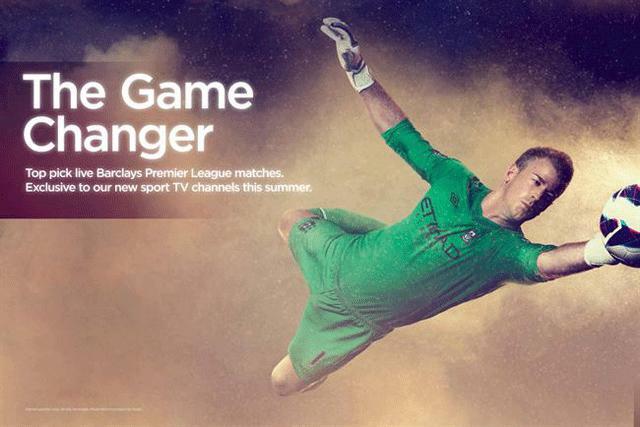 For more information, read more about the BT Sport Channel 4 deal at Brand Republic. To Advertise on BT Sport, call 0203 002 92 42.